materiał bardzo twardy, można stosować jako blaty kuchenne, schody itd.Zdjęcia nie oddaja w pełni piekna tego materiału.Zapraszamy do naszej firmy Fainner,gdzie dużo mamy nowych materiałów i mamy sie czym chwalić .Zapraszamy. Quartz conglomerate also known as quartz-granite is composed of natural quartz (95%), polymer resins and other ingredients (5%). It differs substantially from other natural stones like marble or granite in terms of its physical and chemical properties. Quartz-granite is a mixture of natural quartz and elastic resin with silver ions added, owing to which the material acquires antibacterial properties. Additionally, the risk of mould and mildew is reduced to the minimum. Due to its antibacterial properties, quart-granite is extensively used in the production of sanitary fittings both for private and public facilities, which are particularly at risk of being infected. Washbasins, stairs or kitchen worktops made of quartz-granite are ideal for guesthouses, hotels, swimming pols or hospitals. The production of quart-granite is quite complex. Before reaching its final form, quart-granite undergoes mechanical treatment during which elastic resin and other chemical ingredients are added thus increasing its durability. Quart-granite slabs are pressed with ultra high pressurised water and at a very high temperature, owing to which, we obtain a product, which is resistant to any kind of chemicals and which is safe when used. Quartz-granite is most frequently sold in the form of 2 cm and 3 cm thick slabs. Their dimensions can differ depending on the producer. Copacabana is a multicoloured granite quarried in Brazil. This kind of stone is frequently used in kitchen and bathroom countertops production, as exterior and interior wall cladding and stone flooring. It can also be used to construct fountains, swimming pools, ścianka Cappi and many other projects. It is called Copacabana granite - Black Horse Granite. The beauty of this stone speaks for itself, words are needless. We have this stone in our offer and you can have your kitchen or your bathroom made from this exceptional stone. You are more than welcome. Agate is an extraordinary stone. The beauty of this unique stone is the beauty concealed. This beauty is brought out during the process of cutting and polishing the stone, which makes it shimmer with exceptional and unique colours and sparkle with multidimensional microcrystalline layers. I would say: it is a naturally occurring mineral, the banded form of chalcedony in other words of silicon dioxide. Agate is tinged with natural pigments and with quartz. It is incredibly difficult to put into words how it is possible that one small piece of mineral has caused so much delight and has charmed so many people through centuries and has been a passion of jewellers and the object of envy of so many women. Since the beginnings of the culture formation, agate has been considered a particularly precious stone, which has an extraordinarily magical power. Agate was used by simple folk as a remedy for treating numerous diseases and ailments as well as by artisans of decorative arts. St. Adalbert Holy Grail is the most famous example of agate application, already in the Middle Ages. The golden age of this unusual stone falls between 16th and 18th century, the Baroque period. The picture depicts an agate slab, which is now available at Fainner. We are in the process of filling the first order for our most demanding group of Customers. Quartzgranite is formed by binding quartz (approximately 90%) with a bond made from polyester resin. Owing to this combination, we can obtain unique colours and patterns unparalleled to colours of any other stone. These materials are characterised by very strong resistance to stains from coffee, tea, oil, lemon or any other grocery products. They are problem–free. Quartzgranite is mainly used in the production of kitchen and bathroom countertops. Until recently, a popular view was that stonemasonry companies, which specialise in stone treatment, produce only memorials like monuments or tombstones. Luckily, this idea was thrown on the scrapheap. This was due to the increased use of natural stone in the construction industry. And yet, it is worth reminding that stone is one of the oldest building materials and its usage goes back to Ancient Times. Thanks to the film displayed in YouTube, which presents our qualified personnel at work in the production hall and in Customer Service Office, we reached a large group of potential customers, which translated into receiving orders by our Company. More and more people trust us in terms of our expertise and want to cooperate with us. See for yourself how we operate. Are you looking for inspiration and advice? You are in the right place, then. We are pleased to invite you to our blog. You will find here a professional advice on the choice of stone and its applications. 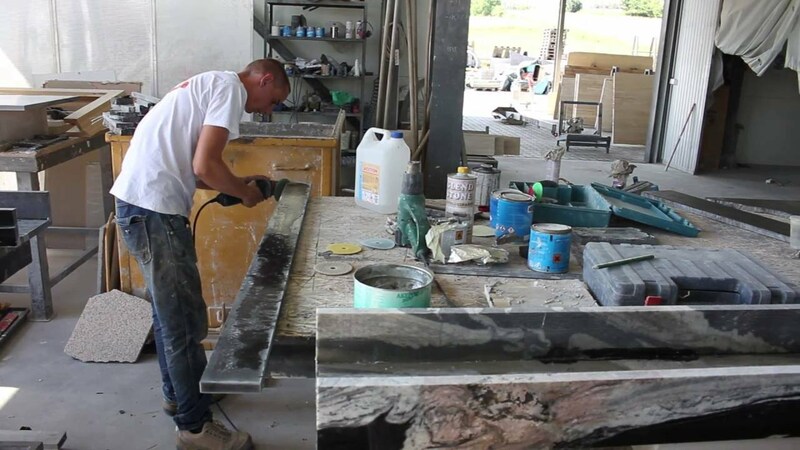 You will discover how to take care of the stone of your choice, what type of fireplaces can be offered and the brand names of the companies cooperating with us. © 2014-2019 Fainner. All rights reserved.